Dr. James R. Roberts is a Professor in the Department of Pediatrics, Medical University of South Carolina, Charleston, South Carolina. He is a graduate of Texas Tech University School of Medicine, Lubbock, Texas. He completed his internship and residency program in pediatrics at the Medical College of Georgia. He continued his training with a Fellowship in General Academic Pediatrics as well as Masters in Public Health at the University of Alabama at Birmingham, Alabama. He recently completed service on the Committee on Environmental Health for the American Academy of Pediatrics (AAP) and is immediate past Chair of the AAP Nexus on environmental health. He is authoring a policy statement and technical report on pediatric pesticide exposure for the AAP. Dr. Roberts served in the past as a consultant to the South Carolina Lead poisoning prevention program, and has worked to develop a comprehensive lead-screening program in Charleston using geographic information systems. He is a co-author in the CDC published guidelines: Managing Elevated Blood Lead Levels among Young Children. 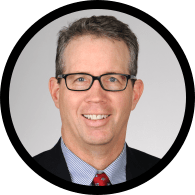 He is co-editor of US EPA Recognition and Management of Pesticide Poisoning, 5th edition and is a primary author on “Environmental Management of Pediatric Asthma: Guidelines for Health Care Providers”, published by the National Environmental Education Foundation (NEEF). As a result of his research, Dr. Roberts has published articles in Public Health Reports, Archives of Pediatric and Adolescent Medicine, Clinical Pediatrics, J Toxicology and Clinical Toxicology, and Ambulatory Child Health, and has had his research results accepted for presentation on a state, national, and international level. He has received local and state awards for his research. As a teacher, he has received teaching awards in pediatrics from past medical student classes, and he was nominated for the Golden Apple Award for a Teaching Physician at the Medical University of South Carolina in 2002, 2003, and 2005.